Well, everything starts with the home, including charity! Christmas is the perfect time to teach the “gift of giving” to your children. It is a lifelong lesson that will not only make your child a more gracious person, but more fulfilled and happier as well. So where to start? Have your children make cards and small gifts, wrap them and carry them to family and friends’ houses to slide under the tree when no one is watching. Make sure they do not put who the gift is from. Not only is this fun, but it’s a great surprise on Christmas Day. We call this “random acts of giving” in my family. Make holiday cards and send them to the local children’s hospital. On the outside of the envelope put a little note asking the staff to give it to a boy or girl of an appropriate age spending Christmas in the hospital. It is wonderful to let the child in the hospital know that another family is thinking of them! 3. Drop, Ring, and Run! Buy food for an elderly neighbor or a local family in need. Drop it at their doorstop, ring the doorbell and run. Make sure you leave a note wishing a Merry Christmas. In my family, we called this “Drop, ring, and run!” It is so much fun- and with so many people struggling this holiday season, it is a wonderful way to give in secret. Take a family trip to the store and buy extra food to donate to your local food bank. Every food bank is struggling more than usual this year, so not only are you helping, but your kids learn about hunger and the need for charity in our country! Start a giving jar that you can fill with marbles or pennies for every great deed or nice word your children say this holiday season. Make the jar small enough that kids can fill it quickly, and once full, think of a fun way to give it back to your community. 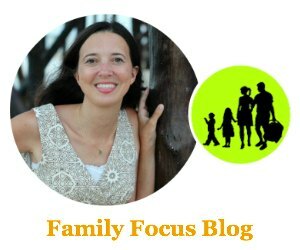 Find a local charity event, or family in need, and have your kids decide how to give it in secret! Have your child make and wrap ornaments to give to someone they see who is unhappy. This also falls under the “random acts of giving” category! As an example, if your child sees a small child crying in a store, they can pop out their gift. I know for sure this small act works wonders for both the giver and the receiver! When family members or friends visit for an overnight stay, have your children put notes or small gifts in their shoes or suitcases before they go home. This is so much fun and still a tradition in many countries! Buy small Christmas trees and decorate them as inexpensively as you can with popcorn and dried berries, then drop them off at neighbor’s doorsteps with a “Merry Christmas” note. What a wonderful surprise when they wake up in the morning and walk out their door! Have your family think of ways to give in secret! Then try and do these steps at random times during the year, so the “gift of giving” becomes more than a holiday tradition. As your children get older, you will be amazed at how they’ve learned to love to give. It becomes a way of life! When your older children are old enough to ask “Is Santa Real?” have them become part of The Santa Club. Tell them “Yes, Santa’s real! In fact there are many of them- everybody who gives a present to show how much they care about somebody!” Let them in on the secret of “The Santa Club,” and have them stay up to help with a younger sibling’s gifts. Make it joyful and fun. Once they finish, have them put out the presents and go to bed, before you put out their gifts! 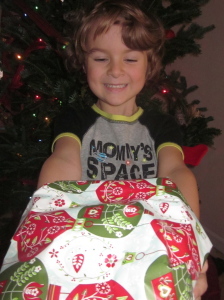 What are your favorite Christmas Gift Giving Traditions? Guest post courtesy of the Santa Club. We all hope that this Christmas and all that follow will be a blessing for you, and that these fun ideas and ways to give will start a new “Santa Club” tradition for your family! I simply want to tell you that I am just newbie to weblog and certainly loved you’re web page. More than likely I’m want to bookmark your website . You surely come with terrific posts. Regards for sharing your web site.